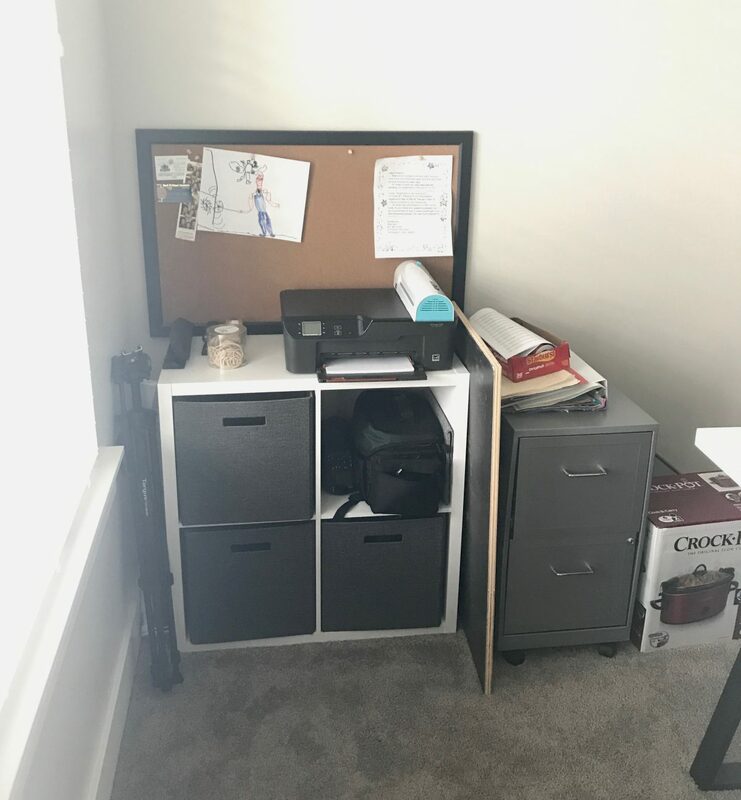 My husband and I built our home a little over two years ago with the intentions of having a home office. We both work from home, so having a space where we could both work was essential! 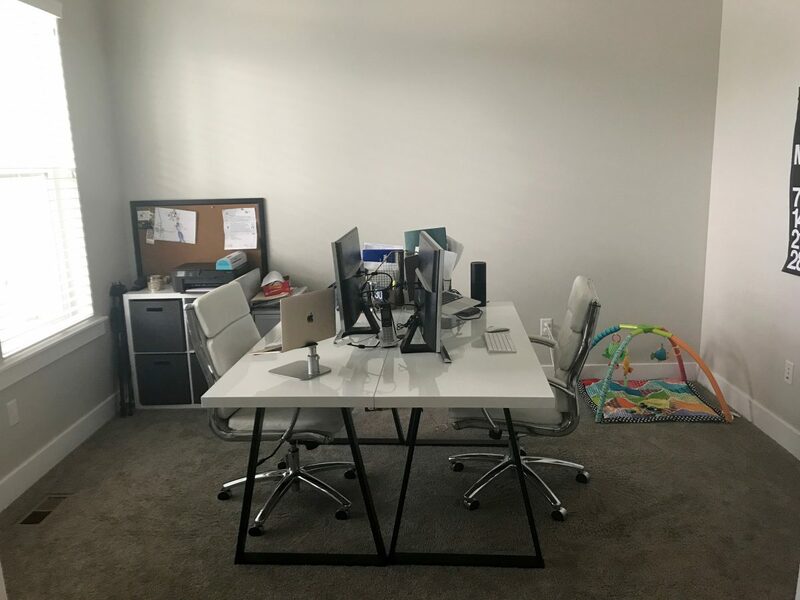 After moving in, we had a baby and the house projects we wanted to do took a back seat to a newborn (and trying to catch up on sleep!). We realized our home office was getting so cluttered and unorganized, which made being productive almost impossible! As you can see, it was pretty chaotic (and this was it on a good day haha)! We decided it was finally time to get organized and create a functional, organized workspace. The carpet underneath our office chairs was so matted down and worn. 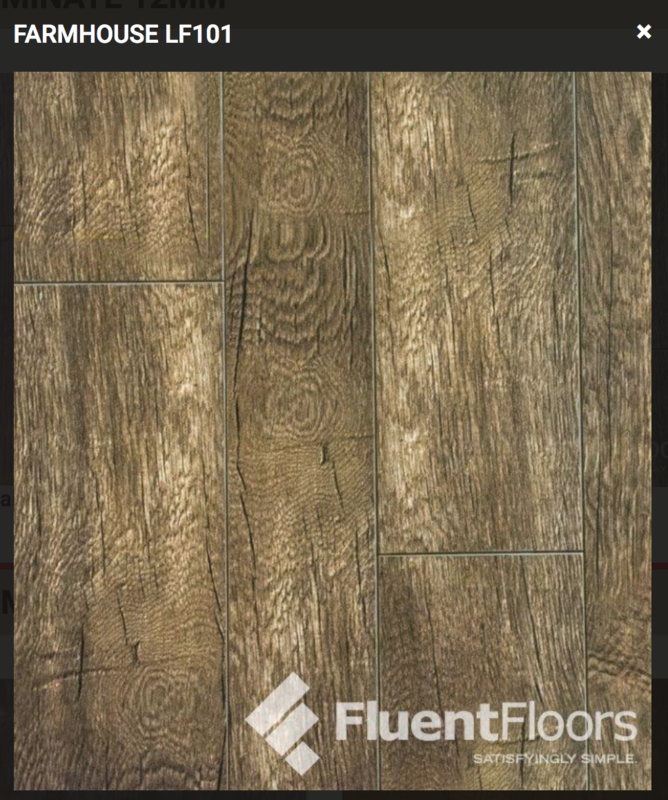 We have Fluent Floors Laminate Flooring installed throughout the main level of our home and absolutely love it. It made sense to just continue it into the office! This is our entryway, and our home office is just off to the right. Isn’t that flooring gorgeous?! I always get so many questions about our flooring and everyone thinks it is hardwood. It is such great quality, easy to clean and doesn’t require any of the maintenance of hardwood flooring. 2. Built-in desks and storage. As you can tell, we were in major need of some storage solutions in our office. I have so many different blog supplies and photography equipment I need to organize. My husband runs his own business, so having a place to file away paperwork, financial statements, etc. is critical! I’ve always wanted built-in desks and cabinetry and was so excited when I found Aristokraft Cabinetry and how affordable it was! I love the quality and look of Aristokraft Cabinetry. They have a huge selection of finishes and door styles so you can get the look and style you want. They even worked with me to help design the best way to use our office space. I love the Brellin Laminate PureStyle White Cabinetry. Not only is it affordable, but it is durable and easy to clean. I also love all of the storage solutions that Aristokraft offers. I can’t wait to file away and store everything in those cabinets and drawers! Next week, I will show you how I have organized everything in my office with our Aristokraft Cabinetry! If you are looking to tackle a cabinetry project, Aristokraft Cabinetry has retailers all over the nation! They can measure the space, assist with design, order all the products you need and arrange for installation. Pretty much, they take the headache out of designing and installing the products you want so you can have an end result that you’ll love! 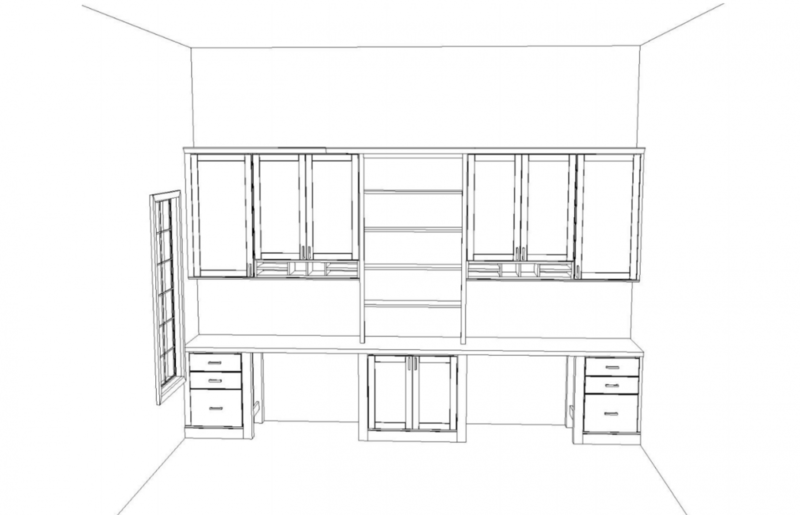 Learn more about Aristokraft Cabinetry HERE! 3. Bring in color with decor. My husband calls me a “crazy rug lady” and I can’t deny it! I love the texture, warmth and color that rugs can add to a room. As soon as I saw this rug from Loloi Rugs, I knew I needed it for our home office. I absolutely love all the color and texture that this rug has! 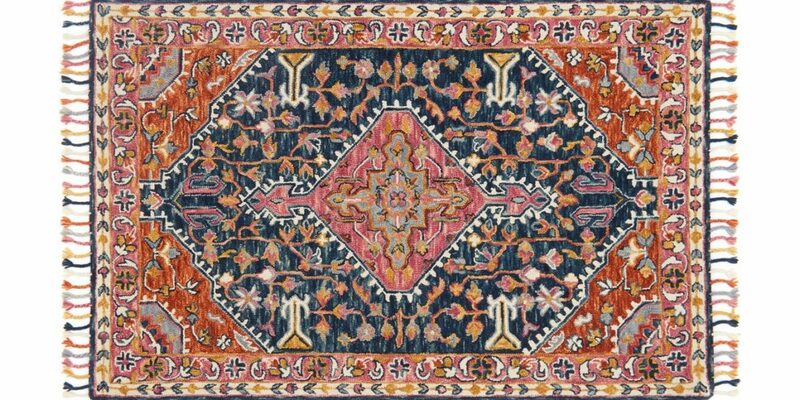 This rug is part of the Zharah Collection and is made of 100% wool. I want the rug to fill up most of the room, so I think an 8×10 foot rug will be perfect! I will link to all the items I got for our office in an upcoming post! I can’t wait to show you how we completely transformed our home office! Stay tuned for the complete home office makeover! 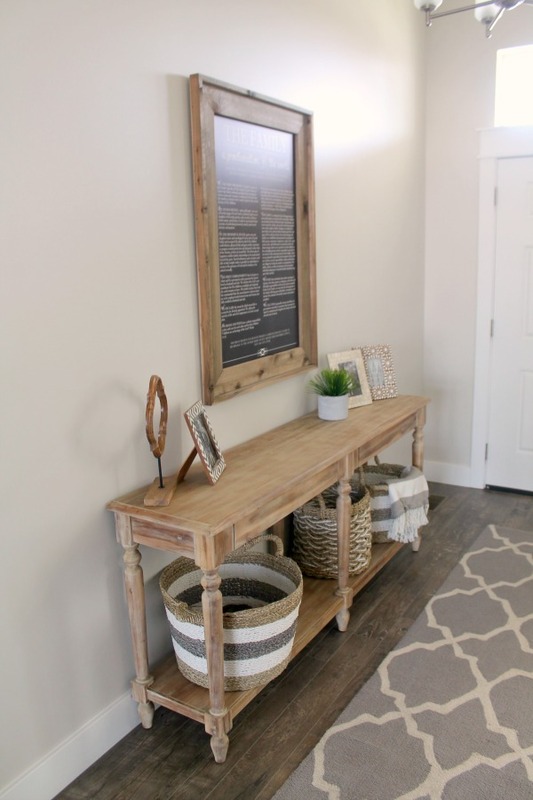 Where is your entryway table from?! I've been looking for one for months and love this one. It is from World Market. Do you have any other pictures of your Farmhouse Fluent Floors?